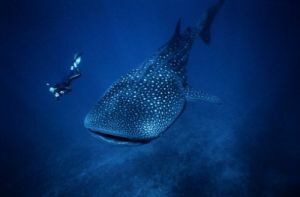 From June to September, the spectacular whale sharks visit the magnificent beaches of Cancun and Quintana Roo, making this season a favorite of tourists who arrive to the tropical Mexican paradise to have the opportunity to swim in the company of these noble creatures.Considered one of the largest species to inhabit the planet, whale sharks measure up to 15 meters long. 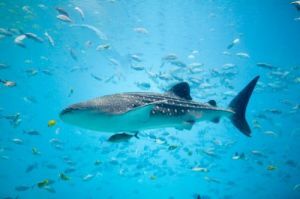 Preferring warm waters for reproduction, each year whale sharks migrate to the island of Holbox, where their mating rituals take place. Take any of the many boats found on the beach and head for the sea to find this friendly species and swim alongside them while you enjoy the incomparable waters of the Mexican Caribbean; guides are available to orient you and provide assistance at any time. This is an unforgettable experience that will put you in direct contact with nature.